« Why Don’t We Smile At Art Museums? You too can be popular. The purpose of these articles – as Forbes puts it – is to answer a simple question: “…what makes the difference for successful innovators?” It’s an interesting question and one that I would dearly love to answer clearly. The implication is that, if your company studies these innovative companies and implements similar practices, well, then … your company will be innovative, too. It’s a nice idea. It’s also completely erroneous. How do we know the reasoning is erroneous? Because it suffers from the survivorship fallacy. (For a primer on survivorship, click here and here). The companies in these articles are picked because they are viewed as the most innovative or most successful or most progressive or most something. They “survive” the selection process. We study them and abstract out their common practices. We assume that these common practices cause them to be more innovative or successful or whatever. The fallacy comes from an unbalanced sample. We only study the companies that survive the selection process. There may well be dozens of other companies that use similar practices but don’t get similar results. They do the same things as the innovative companies but they don’t become innovators. Since we only study survivors, we have no basis for comparison. We can’t demonstrate cause and effect. We can’t say how much the common practices actually contribute to innovation. It may be nothing. We just don’t know. 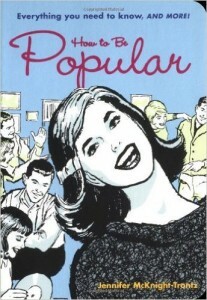 Some years ago, I found a book called How To Be Popular at a used-book store. Written for teenagers, it tells you what the popular kids do. If you do the same things, you too can be popular. It’s cute and fluffy and meaningless. In fact, to someone beyond adolescence, it’s obvious that it’s meaningless. Doing what the popular kids do doesn’t necessarily make your popular. We all know that. I bought the book as a keepsake and a reminder that the survivorship fallacy can pop up at any moment. It’s obvious when it appears in a fluffy book written for teens. It’s less obvious when it appears in a prestigious business journal. But it’s still a fallacy.